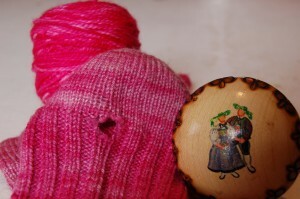 There is a distinct lack of handknit socks chez moi due to the fact that I have a couple of pairs that needed darning. Now normally the darning in this family goes to my Dad to do but he was a little grumpy so I decided to have a go. 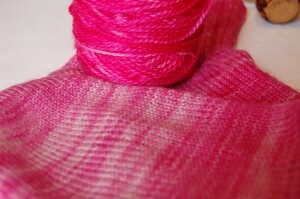 When I dug out the matching yarn I realised how faded my socks are, they are about 4 years old and have been worn lots. The darning is not perfect but not too bad for a first attempt, now to see if they hold up to some more wearing.